We LOVE festivals. 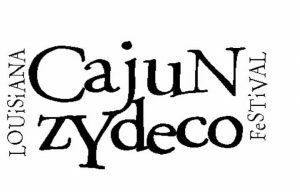 But, everyone has a favorite, and as you can guess one of our favorites is the Cajun Zydeco Festival. The 11th annual edition of New Orleans’ only festival that features exclusively Cajun and zydeco music takes place Saturday, June 24, and Sunday, June 25, in Armstrong Park in downtown New Orleans at the Louis Armstrong Park and Admission is free. The music lineup is fabulous featuring the legendary D.L. Menard with the Jambalaya Cajun Band and Grammy winner Chubby Carrier & the Bayou Swamp Band. But, if that is not enough, there are even more local favorites including Geno Delafose & French Rockin’ Boogie, the Lost Bayou Ramblers, Les Freres Michot, Dwayne Dopsie & the Zydeco Hellraisers and Bruce Daigrepont’s Cajun Band. Have you ever wondered about the seasonings that go into Gumbo or how Cajun accordions are built? This year is the first year that the festival will have a Folk Life Area in the historic Congo Square area. There will be live demonstrations about Louisiana Traditions and other unique foods and instruments that make Louisiana special. It is hot in New Orleans even in June, so this festival has addressed this particular problem with lots of mist fans and a Dessert Oasis with a variety of cold items like popsicles and Italian Ice to enjoy to cool down. Don’t miss out on the arts market that features over 24 of the best artisans in the region selling hand-made art, jewelry and other crafts.